Ads decrying the Park51 mosque near Ground Zero will run on New York City buses, after gaining approval from the MTA today. The campaign is being funded by The American Freedom Defense Initiative, a New Hampshire organization, who had sued MTA in federal court last week to accept the ads. This is not the first time the American Freedom Defense Initiative has run controversial ads. 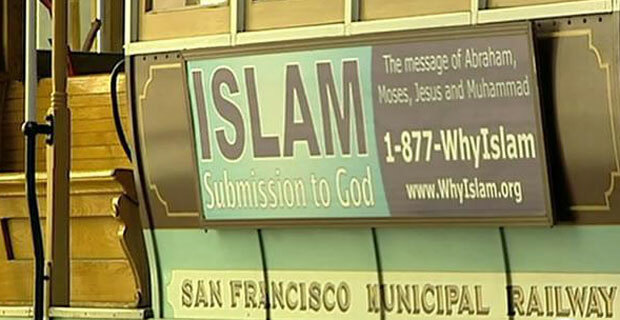 They have also purchased transit advertising calling for the questioning of Islam in several other cities including San Francisco, Miami and Minneapolis — which have been deemed offensive by different groups in each city. This would be the second advertisement against the slated Mosque that had caused equal amounts of controversy. A month ago, both NBC and CBS had banned the airing of anti-mosque ads on their networks by the National Republican Trust PAC.